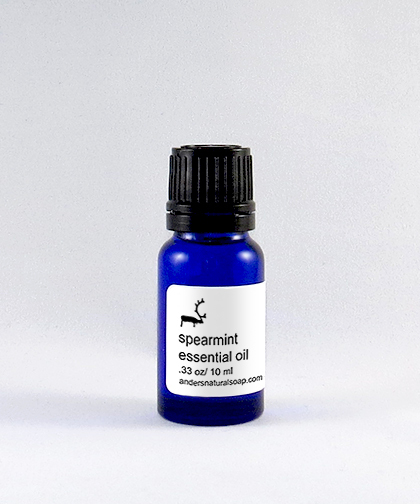 SPEARMINT: Spearmint essential oil is steam distilled from the fresh flowers of the spearmint plant. It is not as sharp or intense as Peppermint, as it has a very low content of Menthol. It has a light refreshing scent.